Cross Game is a romantic comedy baseball manga series by Mitsuru Adachi. Cross Game is the story of Ko Kitamura and the four neighboring Tsukishima sisters, Ichiyo, Wakaba, Aoba, and Momiji. Wakaba and Ko were born on the same day in the same hospital and are close enough that Wakaba treats Ko as her boyfriend, though nothing is officially declared, while Aoba, one year younger than them, hates how Ko is “taking” her sister away from her. After Wakaba dies, Ko and Aoba slowly grow closer as they strive to fulfill Wakaba's final dream of seeing them play in the high school baseball championship in Koshien Stadium. Cross Game is a romantic comedy baseball manga series by Mitsuru Adachi. The series was adapted as a 50-episode anime television series that aired from April 5, 2009, to March 28, 2010. 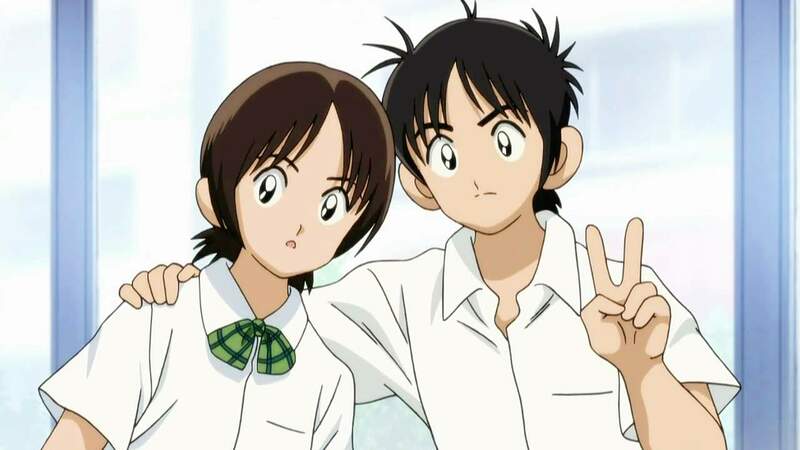 The first episode of the anime, which covers the time frame of the first volume of the manga, received high praise, even outside Japan. Cross Game is one of my favorite romantic comedy. I don’t even like watching sport but this anime kept me glued and I have re-watched it multiple times. The animation seems simple at first, but it is consistent with the manga’s art style. You may mix-up Cross Game with Touch and H2, as they all have a similar style, design, and about baseball. It is natural to mix them up as Mitsuru Adachi created all three. In fact, I also love Touch and H2. The music in this series is also superb. The intro themes “Summer Rain” by Kobukuro is especially catchy. Most of the songs have that 90 pop vibe to them, which I love. The character design visually isn’t all that in-depth, which is why you sometimes get confused between Adachi’s other series. However, the characters’ personality is the gem of the show. You fall in love with them right away and love them even more as the story progress. I highly recommend Cross Game for any fan of romantic comedy. The anime is incredibly binge-watching worthy. Cross Game is appropriate for all audiences. "It's when there is no one left to remember the person that they are really dead."